Gartner Identity and Access Management Summit. Several months ago, we sponsored the Gartner Identity and Access Management Summit in San Diego, California and had an opportunity to see, first-hand, a host of new IAM solutions focused on helping IT managers be more productive. Unfortunately, the reality is that all the identity and access management solutions I saw are a step behind: they are trying to solve yesterday’s problem, not tomorrow’s—or even today’s cyber security threats. The market is littered with overlapping, IT-centric solutions that don’t move at the speed of business and therefore hinder rather than help, productivity. 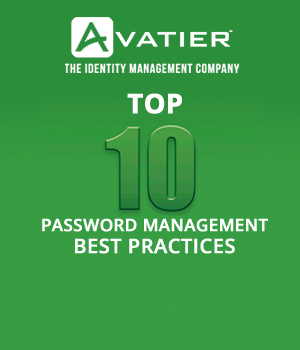 What’s needed is a radically different approach that puts control of password management, user provisioning and access certification in the hands of business users — reducing the number of human interactions required within the identity and access management process to a series of simple approvals, speeding time-to-value and productivity. This is the essence of the Avatier approach; building a trusted fabric above enterprise and cloud applications, assets and more in the form of an IT request portal delivered as an internal application store. By breaking identity and access management into discrete tasks, users within lines of business can seamlessly and quickly request the new or updated access they need to get their job done—when they need it—while IT remains focused on increasing cyber security effectiveness and efficiency. 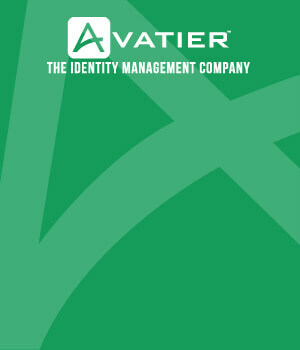 This front-end request tool creates what Avatier calls the Trusted Identity Fabric™ of IT services, which enables underlying business disciplines to use the best-in-class tools to support their individual needs, while still allowing centralized administration and control of key enterprise resources. This approach provides a foundation that can transparently bridge multiple applications, services, and networks. For more information about this revolutionary new concept, take a look at our white paper. Watch how a global insurance brokerage firm consists of 400 locations worldwide and provides services to a variety of industries. Each division provides separate help desk services and audit controls. Avatier through software automation and a self-service administration returns identity and access management to business users. Start your migration from legacy software with the Top 10 Identity Manager Migration Best Practices Workbook. Use this workbook to think through your information security risk before you transition to next generation identity manager software. Ryan Ward is CISO at Avatier, responsible for security initiatives as well as strategic direction of IAM and security products. A sixteen-year veteran of the security industry, Ward comes to Avatier after five years with MillerCoors where he served as Enterprise Security Manager of the brewing company and USA Information Security Officer for the public company SABMiller. In those positions Ward was responsible for all Information Security initiatives for MillerCoors. Prior to MillerCoors, he served as Senior Information Security Leader at Perot Systems while supporting the Wolters Kluwer account. He previously held the position of Vice President of Information Systems for Allscripts.Ryan is also a Certified Information Systems Auditor (CISA) and a Certified Information Systems Security Professional (CISSP).